Hospitality chain owned by millionaire Stefan King agrees to new terms for staff. 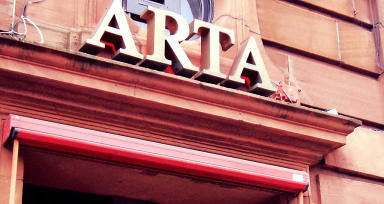 Group: Arta in Glasgow is among G1's premises. The G1 Group leisure firm has pledged to abolish zero-hour contracts following pressure from workers' rights campaigners. Millionaire Stefan King's hospitality business held talks with members of the Better Than Zero campaign to discuss a number of changes after workers claimed to be treated in an "unbelievable" manner. The Glasgow-based business owns restaurants, nightclubs, bars and off licenses across Scotland, including the Corinthian Club and Arta in Glasgow and Ghillie Dhu in Edinburgh. Better Than Zero organiser Bryan Simpson said the campaign received "systematic" complaints from G1 staff over 18 months. In addition to zero-hour contracts, campaigners said they had received complaints of pay below the national minimum wage, gratuities being withheld for breakages and spillages, and unpaid lengthy trial shifts. Previously, the group was named by the UK Government in a list of companies which fail to pay the minimum wage. In August 2015, Better Than Zero staged a protest in Ashton Lane, Glasgow, the location of several G1 premises, calling for staff to be paid the living wage and a ban on zero-hour contracts. 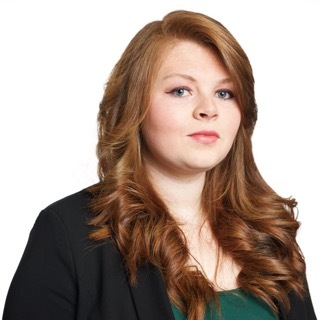 Last month, G1 agreed to several conditions in a meeting with with Mr Simpson, STUC deputy general secretary Dave Moxam and Scottish Union Learning's Sarah Collins. G1 staff will no longer be required to pay for their uniform or training. All new colleagues will receive a contract of employment before they start work. No member of staff should be on a zero-hours contract. G1 will look at the possibility of introducing minimum hour contracts based on the average hours worked by staff (currently around 15 hours). No member of staff should be docked for small instances of lateness. No member of staff should be docked their tips for breakages or spillages. The group has adopted a 'tronc' system, with staff committees autonomous from management deciding how to allocate all electronic gratuities. Each tronc committee is overseen by someone who cannot be a manager. Potential G1 staff will only be asked to shadow during a trial shift for up to four hours for which they will be paid. Mr Simpson said: "I didn't hold much hope for the talks as G1 Group has held our attention for the last 18 months. "It's not just the largest hospitality firm in Glasgow but it's also among the worst - they have been fined twice for failing to pay staff minimum wage and have been the focus of our campaign from the outset. "Complaints were so systematic - we had former workers come to us saying they had been treated unbelievably and had been forced out." He continued: "The promise to abolish zero-hour contracts is a big symbolic one, and the tronc tip system is really good as well. "This could be a future landmark for hospitality systems in Scotland." Lesley Welsh, chief operating officer of G1, said: "We are grateful to Better Than Zero to be recognised as the biggest hospitality company in Scotland and as a major influencer (sic) within the industry. "The hospitality industry has come under criticism recently, however, the truth is that working in hospitality is not only fun but is rewarding and gives people great career opportunities. "The meeting with Bryan and the Better Than Zero group was the first time we'd met so it's good to have had the chance to clear up misunderstandings and share our successful initiatives including employee contracts and the launch of tronc."